I went to Litchfield in early February. Wangi Falls were spectacular. The walking platform out to the water was nearly flooded. 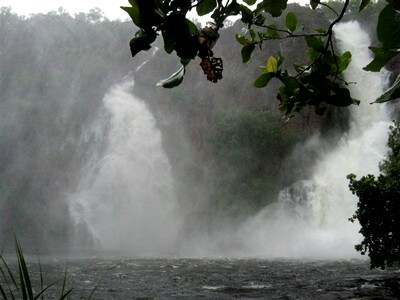 The termite mounds and the other falls were great as well.